Sterling silver and rose gold drop earrings with a Celtic motif. 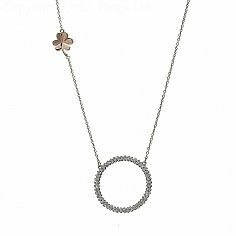 The Shamrocks have been crafted from rare Irish gold that has been mined in County Tyrone. 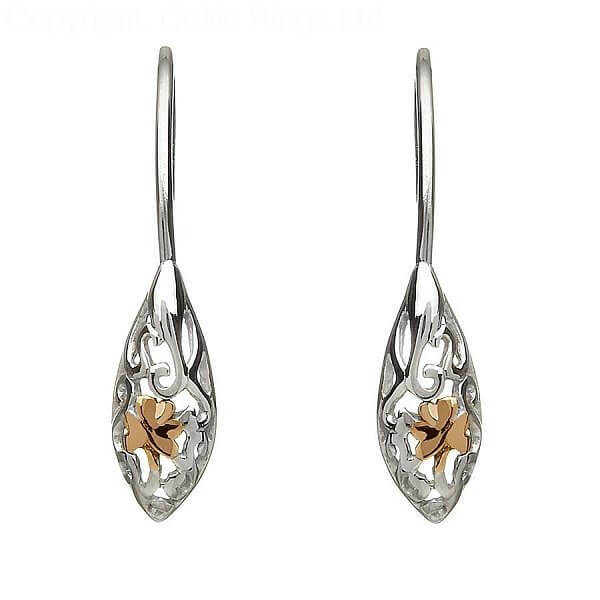 These drop earrings come with luxury packaging that is sure to impress. Also included is a certificate of authenticity. Handcrafted in Dublin, Ireland and shipped worldwide. Bring a little luck of the Irish into your life with these Celtic shamrock earrings!